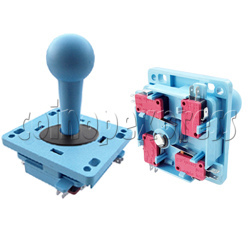 Yenox joystick designs in high quality nylon construction which is perfect for your arcade machine. Whole nylon forming joystick holder makes it more durable. Good touch feeling gives by elegant crafted smooth surface. Player will not have burn palm after long time playing games.